Editor’s note: If you would like to list your site, e-mail BTVS Online at sjscworldwide (at) gmail.com. 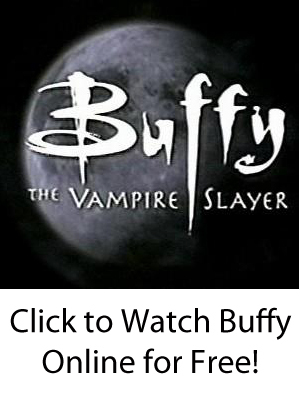 Whether you are looking for “Buffy” links to fansites, websites, merchandise, official online portals, or anything else, we at BTVS Online are building the Internet’s most-extensive database of “Buffy the Vampire Slayer” links for anyone with any conceivable interest in the historical show that has inspired a cult following even to this day. Below, we have organized them by category. Enjoy — and happy slaying! Just the disclaimer that we need to say: BTVS neither endorses nor endorses any of the listed sites below. We just thought they would interest people who, like us, love our favorite TV show! Visit these sites at your own discretion. All Things Buffy – A site with various pics and sayings. All Things Philosophical on BtVS – Discussions of vampires, dimensions, spirits, and other metaphysical things on a website categorized by topic, episode, and character. Ask A Buffy Expert – Gossip about “Buffy” along with questions and photographs. Buffy the Vampire Slayer TV Show – Information, random trivia, and other details about the program. A BtVS Zone – Characters, cast, episodes, rumors, multimedia, and more. BTVS General – Biographies of characters and actors, art made by fans, and various links. Bite Me – Buffy news, episodes, artwork, and various multimedia. Briony’s World Of Buffy – A guide to all of the Buffy episodes, multimedia art, image gallery, fiction written by fans, and discussions. British Buffy – Buffy quotes and news from across the pond. BtVS – Information on episodes, picture galleries, and BtVS biographies. Buffonia – Quotes, audio files, and galleries. Buffy Insight – Photographs, discussion board, and profiles. Buffy N Phoenix – A tribute with biographies, sims, and a Sunnydale tour of the fictional city. Buffy and Angel Central – A slang lexicon, Big Bads, and memorabilia. Buffy and Angel Reviews – Reviews of Buffy the Vampire Slayer. Buffy and Angel’s Home at RJ’s Place – Pictures and links. Buffy in the UK – Sounds and links from the Mother Country. Buffy the Vampire Slayer – Information and FAQ in both German and English. Buffy the Vampire Slayer – A guide to monsters, demons, and vampires along with cast information. Buffy the Vampire Slayer – Season 1 – Images and poetry all about the first season. Buffy’s Innermoppet – Buffy television-schedule for nine different countries and resources for tape trade. BuffyDotCom – Polls, episode clips, and a message board for fan discussion. BuffyVille – Quotes and fanzine articles. Buffylicious – A screensaver with Buffy quotes, Java scripts, and list of Bronze bands. The Bizarre World of Buffy – Character information, images, and a directory of episodes. The Bronze – Polls and a tribute to Buffy’s mother, Joyce Summers. The Bronze – Comic strips with an online forum. The Buffy Body Count – A list of Sunnydale High School deaths along with those on the U.C. Sunnydale campus. The Buffy Catacombs – Character guides and information. 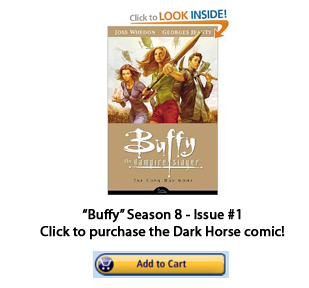 The Buffy Obsession – Reviews, character information, and news. The Buffy Phenomenon – Episodes rankings determined by various factors. The Buffy Zone – Quizzes and quotes. The Buffy/Angel Gallery – Fiction, pictures, and online clubs for fans.